“It is a frightening thought that man also has a shadow side to him, consisting not just of little weaknesses- and foibles, but of a positively demonic dynamism. The individual seldom knows anything of this; to him, as an individual, it is incredible that he should ever in any circumstances go beyond himself. But let these harmless creatures form a mass, and there emerges a raging monster; and each individual is only one tiny cell in the monster’s body, so that for better or worse he must accompany it on its bloody rampages and even assist it to the utmost. Having a dark suspicion of these grim possibilities, man turns a blind eye to the shadow-side of human nature. Blindly he strives against the salutary dogma of original sin, which is yet so prodigiously true. Yes, he even hesitates to admit the conflict of which he is so painfully aware:. 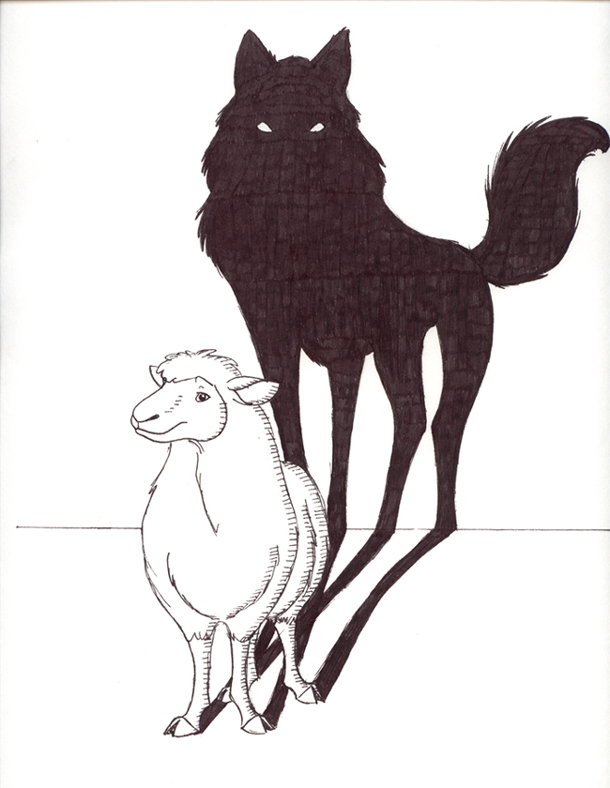 This entry was posted in Uncategorized and tagged archetype, Jung, shadow, sheep, wolf. Bookmark the permalink.